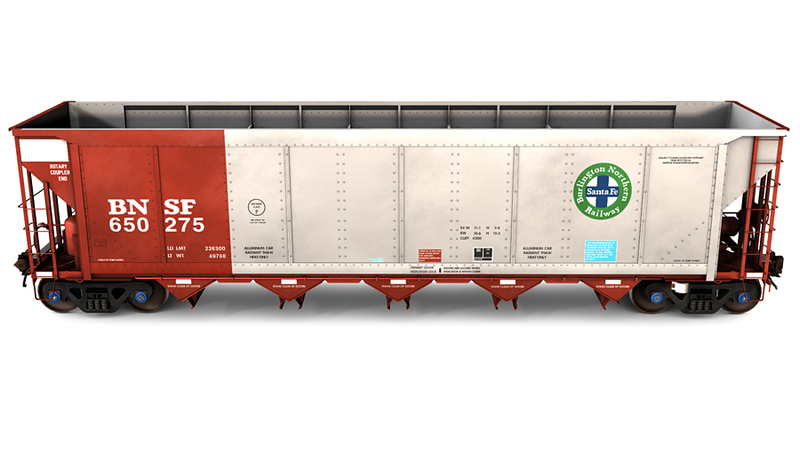 Burlington Northern Santa Fe (Mineral Red) FreightCar America AutoFlood II Aluminum Coal Hopper. 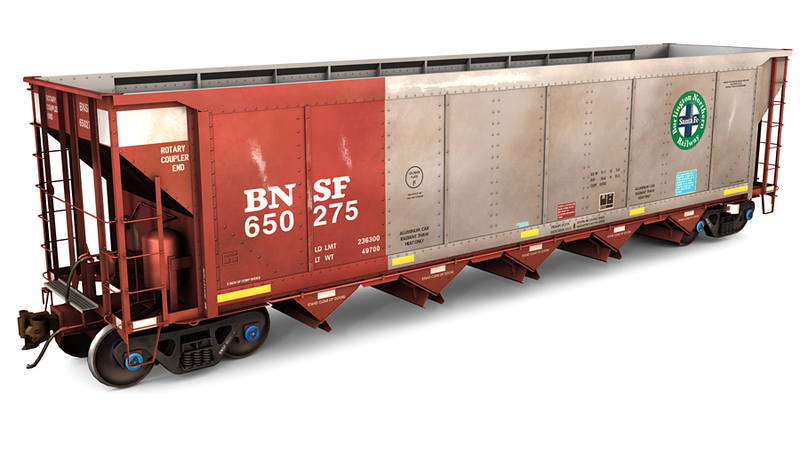 Includes two (2) skins, weathered and new. 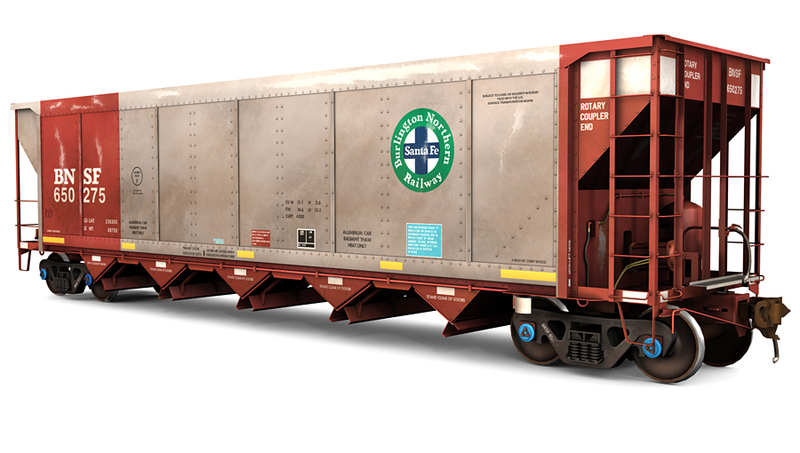 FreightCar America, formerly known as Johnstown America, is most recognized for their construction of aluminum freight cars for North American railways. 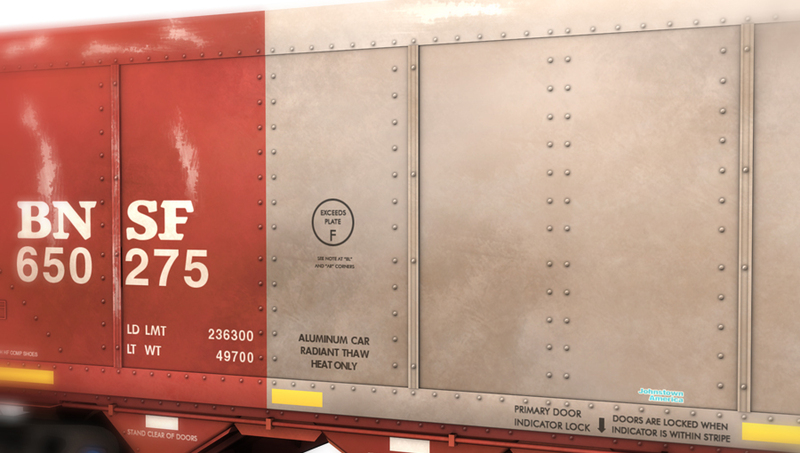 The benefits behind aluminum railcars are their ability to hold more product and the possibility of increased fuel savings because of aluminum's light weight as compared to a steel-built freight car. 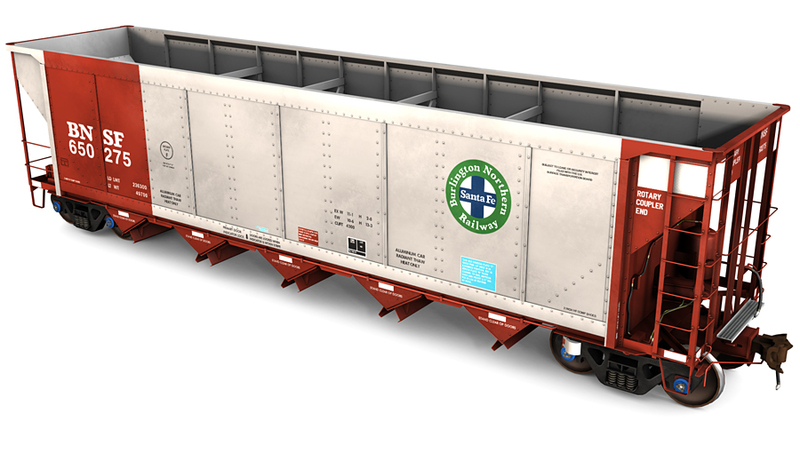 FreightCar America is best known for their aluminum coal hoppers, the AutoFlood II is no exception. 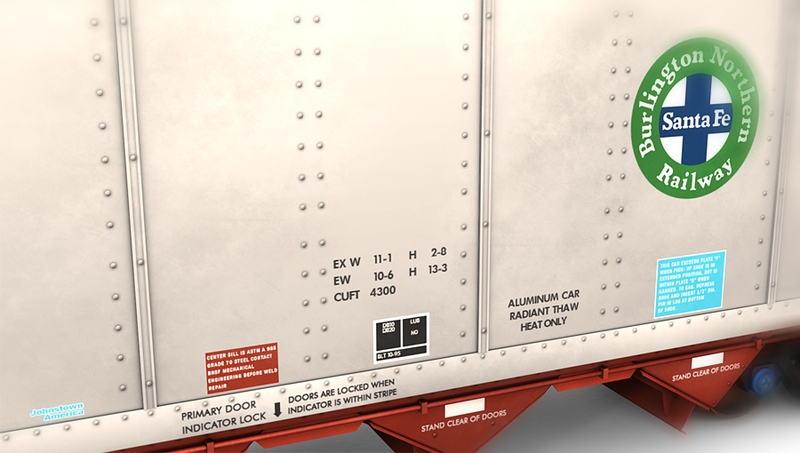 The AutoFlood can be unloaded through either the bottom doors, or through a rotary dumper. The AutoFlood model compromises very little in regards to detail and accuracy. Multiple 2048x2048 texture files allow for crisp, high-definition, resolutions for incredible scale up-close.